Grape Harvesting: Why It's For You! Harvesting grapes is therapeutic. Just imagine smelling freshly cut vines, working with your hands, feeling the warmth of the sun on your shoulders, and reflecting on the beauty of nature. Even better, imagine your special someone working right along beside you. And don’t forget the added perk of being able to sit back after you’re done and truly enjoy the result of your hard work. Read on to learn why you shouldn’t miss the next grape harvest. The grape harvest in France is so much more than just filling a basket or a bucket with grapes – it is a huge party. 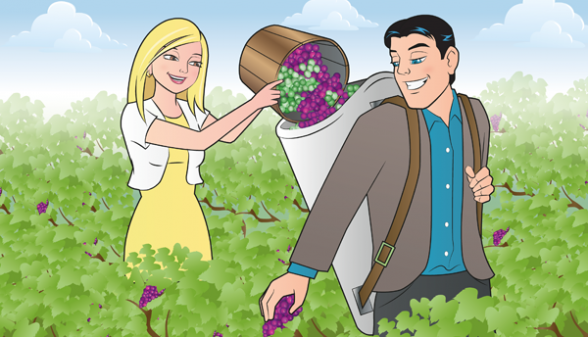 Participating in the harvest is also a great way to improve your French, learn about wine, and discover first hand all the ins and outs of the quirky French culture. Plus, it provides a fantastic opportunity to meet someone with similar interests, or spend a memorable day with your special someone. But wait! Before you book your flight and sign on the dotted line, remember that it is also physical labor. A typical day involves practically breaking your back cutting vines (probably with a hangover) and carrying heavy buckets. Therefore, I would recommend being in pretty good shape if you’re thinking about doing the entire harvest. There is one other rather annoying detail: unless you are a citizen of the EU, and speak relatively good French, then you will not actually get paid for your work. In fact, in most cases, you will have to pay THEM for the experience. But then again…the wine, the countryside, the atmosphere. Priceless. If taking an autumn trip to France for harvest time is not in the cards for you this year, never fear. Instead of crying into your pillow, why not check out the possibility of spending the day grape harvesting at a local vineyard, or at a vineyard in a specific region somewhere closer to home that you’ve always dreamed of visiting? For example, Napa? If you’re interested in participating in the annual harvest in any location, keep in mind that harvest dates change every year depending on the weather. Many vineyards have websites you can check to be sure you’ll be in the right place at the right time. Having FUN together is a great way to strengthen your relationship. Spending the day with your sweetie in a scenic outdoor environment and doing something physical is the perfect recipe for romance and a truly memorable vacation. Just don’t forget to take a few bottles of your hard-earned wine back home with you. You can pop one of these tasty souvenirs open months or years in the future and relive your fantastic day together. If you and your special someone decide to sign up for the upcoming harvest, you’ve hit the jackpot of fun and flirty texting topics. Use this delicious opportunity to spark text conversations before and after the event.  – Build up the excitement before the big day by texting interesting yet little-known facts about the wine region, wine making, or the harvest. – Reminisce afterwards about funny things that happened, or send them a photo of the event at a random time during the day, followed by a short romantic text telling them how special the experience was for you. – Prepare a special soirée for them and serve one of the bottles that you bought from the vineyard. Send them enticing messages with little details of the memorable evening you are planning (but don’t show all your cards!). Play Together And Stay Together! If you are not a wine fan, then why not try a similar activity, such as picking apples (even if your only reason for doing so is to make your grandma’s famous apple pie together)? 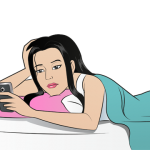 If you would like to improve your texting and engage your partner in tons of flirty text exchanges, sign up for our Free 30 day Texting Club and you’ll receive over 300 text messages. Happy texting!